This website is dedicated to Black Russian Terriers (BRT) a rare, beautiful, and very intelligent breed . I got to know them 30 years ago in Russia, and I still love them. Now we live in Upstate NY, USA. Our dogs are very active, and they have a lot of exercise. I feed them only natural food. In my mind the Black Russian Terrier is a working dog of middle and large size, powerful, of firm-rough constitution type, with rich bones, trim, black coat, beautiful wide movement, stable mind and character. 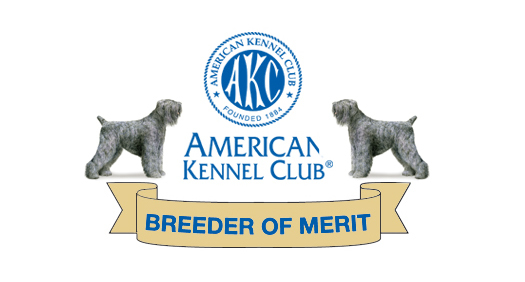 The Black Russian Terrier Club of America (BRTCA) represents Black Russian Terriers in the AKC. 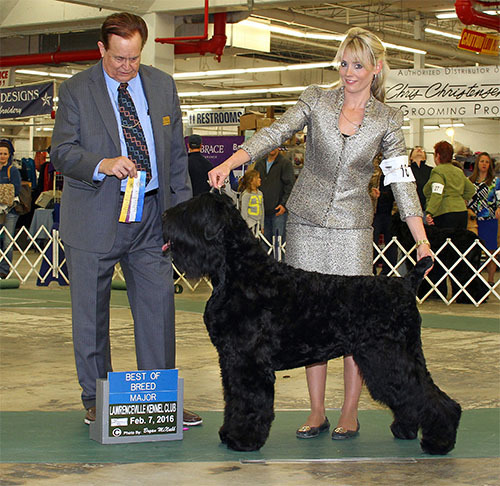 Black Russian Terriers got full recognition into the AKC in 2004. They are in the working group. Originally, in Russia, they were known as the Chornoi Terrier. Black Russian Terriers are also fully recognized by the FCI, one of the most prominent Dog Clubs in Europe. For details please contact us below! Never witnessed a Black Russian Terrier in action? Check out our video collection here.